14 March / On 14 March, in the auditorium of Tartu City Hall, the winners of the competition Building of the Year 2018 were recognised. In addition to the evaluation committee, residents of Tartu were able to select their favourites for the second year in a row by voting on the homepage. Last year's most outstanding buildings were revealed at the recognition event held in the auditorium of Tartu City Hall, and Mayor Urmas Klaas presented letters of appreciation to the designers, builders and owners. The winners also received plaques of recognition from the city, which can be placed on their building’s façade. City Architect Tõnis Arjus was pleased that so much good architecture has been added to the cityscape. ‘On the one hand, we see an important contribution to the development of the City Centre District in the form of additional residential and commercial buildings. On the other hand, the restoration of older and prestigious buildings and the creation of diverse residential spaces in various city districts is continuing,’ said Arjus. All of the buildings that were granted an authorisation for use in the City of Tartu in 2018 were assessed during the competition. Buildings selected by the evaluation committee were put to a public vote on the City of Tartu’s homepage, which decided the public’s favourite. 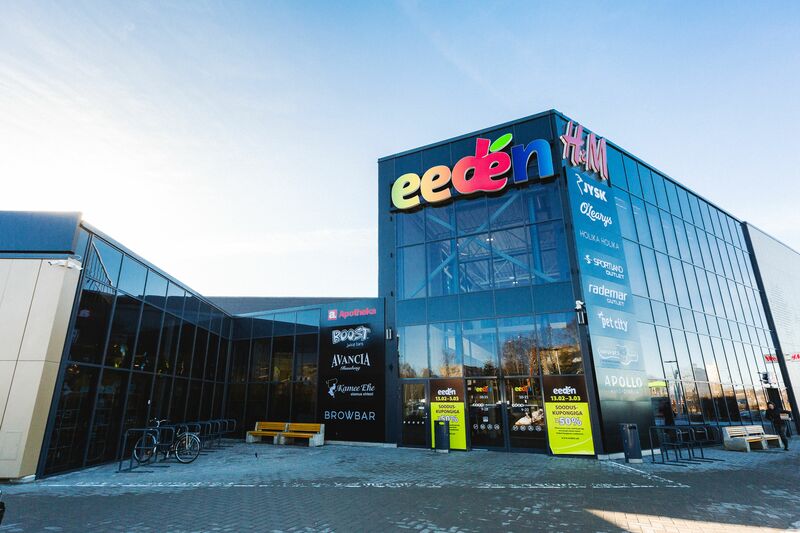 The winner of the public vote was the expanded Eeden Shopping and Leisure Centre, located at Kalda Road 1c. In the ensemble of new buildings subgroup: Riia Street 22b, Era Street 3. Also mentioned were Laseri Street 6a, Kristalli Street 5, Kristalli Street 7, and Kristalli Street 9. In the new detached houses subgroup: Kandiküla, Kase-Juhani Road 1. Also mentioned was Rannakajaka Street 8. In the new commercial buildings subgroup: Rüütli Street 7. Also mentioned was Tähtvere Village, Roheline Street 14. In the reconstructed and expanded apartment buildings subgroup: Ravila Street 54. Also mentioned was Mõisavahe Street 29. In the reconstructed and expanded detached houses subgroup: Raudtee Street 3/3a. Also mentioned was Pargi Street 6. In the reconstructed and expanded commercial and public buildings subgroup: Kalda Road 1c. Also mentioned was Raatuse Street 88a. In the historic apartment buildings subgroup: Puiestee Street 51. Also mentioned were Päeva Street 23, and Päeva Street 25.